Ralph "The Rat" Northam, the disgraced Virginia Democratic governor who nearly moonwalked at a press conference while supposedly showing his sincere apology for misremembering either dressing as a Ku Klux Klan member and when exactly he painted his face to impersonate a black person, has now officially declared he is not going to step down from office despite nearly the entire country asking him to do so. Shortly after Caleb Hull "exposed" Gov. 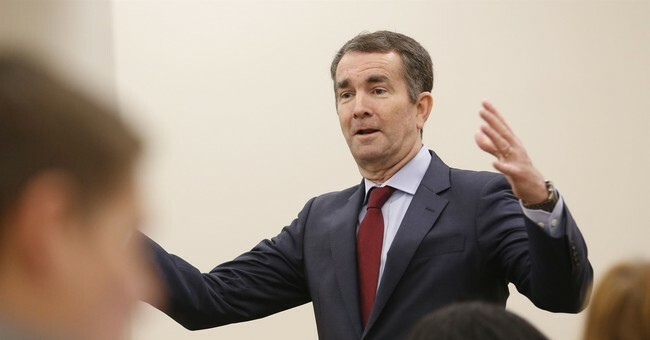 Northam saying it would be legal to kill a baby born alive if that is what the mother wanted, a 1984 medical yearbook photo surfaced from Northam's own yearbook page showing two individuals in blackface and a KKK costume. The governor first apologized for the photo, then retracted that apology saying it was not him in the photo and he confused it with the other time he wore blackface for a Michael Jackson contest in 1984, promised to watch "Roots" to educate himself, and has thus far refused to resign. Today, Gov. Northam sat down with CBS 'This Morning' to discuss the current quagmire his administration finds itself forced to deal with. On top of Gov. Northam's problems, Virginia's Lt. Gov. Justin Fairfax has sexual assault allegations which has garnered calls for his own resignation and the Attorney General Mark Herring admitted to blackface as well. "Virginia needs someone that can heal. There's no better person to do that than a doctor. Virginia also needs someone who is strong, who has empathy, who has courage and who has a moral compass. And that's why I'm not going anywhere," Gov. Northam told CBS' Gayle King. In an attempt to remark on the history of slavery in Virginia, Gov. Northam referred to Africans kidnapped, tortured, and forced against their will to work as "indentured servants" which caused King to correct him for the gaffe and inform the doctor that would be referred to as "slavery." Gov. Northam was elected to office in 2017 after airbrushing his black running mate out of official campaign flyers, refusing to shake a black opponent's hand after a debate, and bolstered by support from campaign allies who ran an ad insinuating Republican voters wished to use pick-up trucks and run over non-white children.